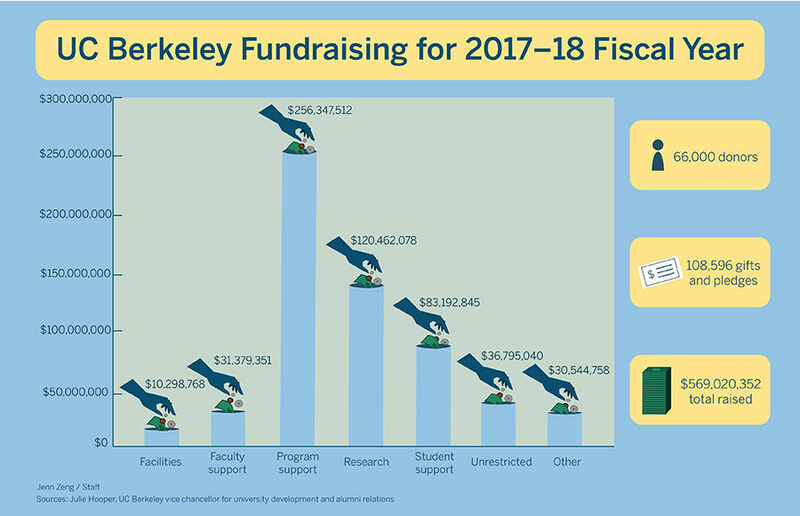 During the 2017-18 fiscal year, UC Berkeley raised more than $569 million in donations, grants and pledges — its highest sum in history. A campus report shows that about 66,000 donors contributed toward the grand total, which is composed of funds from 108,000 individual gifts. In context, the numbers rose by 21 percent and 19 percent from 2017 and 2016, respectively. The largest share of the $569 million in donations — about $256 million — will go toward program support, while funding for research holds second place at approximately $120 million. $36.8 million will be reserved for unrestricted use. Shifts in fundraising strategy may have also bolstered donations. In her email, Hooper also remarked on the success of Big Give, a 24-hour annual philanthropic event that attracted 9,000 donations, as well as UC Berkeley’s partnership with campaign consulting firm Marts & Lundy. Colleen Rovetti, campus executive director of external relations and marketing communications, further commented on administrative influences. 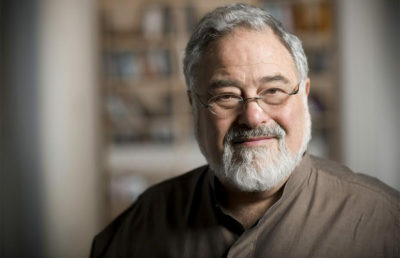 According to Rovetti, campus was given an anonymous $50 million donation to support “recruitment and retention of STEM faculty.” Additionally, campus received an anonymous $10 million pledge to support the Undocumented Student Program, the Berkeley Hope Scholars, the Berkeley Underground Scholars, a Fiat Lux scholarship and the African American Initiative. 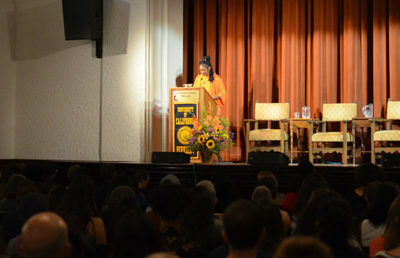 Berkeley Underground Scholars, or BUS, is a program that provides tutoring and resources to formerly incarcerated students and engages in rehabilitation advocacy efforts. According to outgoing Outreach Coordinator Abdullah Puckett, BUS has been operating solely on a one-time donation of $500,000 in 2014. Puckett said he hopes the organization will now be able to hire its own counselors and pay its team of 30 members, of whom only eight received salaries. ASUC External Affairs Vice President Nuha Khalfay said the budget and fundraising outcomes could signal “a unique turning point” and are “a great first step,” though she stressed the continued need for student involvement in advocacy efforts. Contact Anna Ho at [email protected] and follow her on Twitter at @anna_j_ho.